One of the most celebrated movies you've probably never heard of, writer/director Kelly Reichardt's intimate portrait of a girl (Wendy, played by Michelle Williams) and her dog (Lucy) stranded in rural America has been hailed as one of 2008's most moving dramas. The latest title from this year's grab bag of Nazi-related films, "Good" stars Viggo Mortensen as a German scholar who faces trouble because of his shaky perty relations. Co-starring Jason Isaacs and directed by Vicente Amorim, the movie should see release just before the Oscars. Based on the bestselling book and featuring an all-star cast, "He's Just Not That Into You" is a new romantic comedy about dating in the modern world. Filling out the big-name ensemble is Jennifer Aniston, Ben Affleck, Drew Barrymore, Jennifer Connelly, Scarlett Johansson, Ginnifer Goodwin, and more. 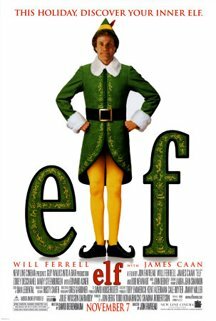 Before Will Ferrell tainted his career by repeatedly taking on bonehead scripts and playing super-sized sickos, he played a charming life-sized elf in Jon Favreau's contemporary holiday classic. From the syrup and spaghetti breakfasts to a lovely duet with costar Zooey Deschanel, Ferrell's cheery performance is probably the best of his career. "Elf" surely has its missteps, but its one of the few Christmas films of recent years that genuinely entertains and has managed to endure. 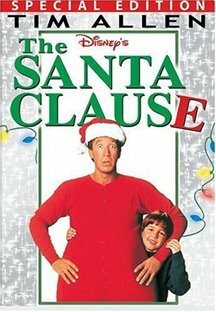 Though its sequels don't exactly warrant carols of praise, Tim Allen's first outing as the man-who-would-be-St. Nick is a holiday staple for many families and arguably the "Home Improvement" star's finest hour. Who can forget the wonderment of scenes like the arrival of "The List," the literal humor of the "North Pole," or the hilarious introduction of the "Rose Suchak Ladder?" 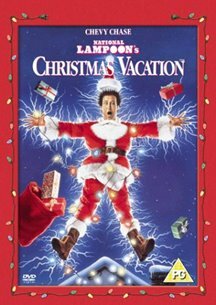 The ULTIMATE holiday comedy, Clark (Chevy Chase) and the gang's tumultuous celebration with their extended family never ceases to bring joy, laughs, and awkwardly familiar frustration to its viewers. I, for one, have been giggling at at the Christmas craziness this hap-hap-happily eccentric gem for nearly two decades. It's a beaut! Hugh Jackman is a busy man. Last month, he was hopping from one red carpet to the next to promote Baz Luhrmann's epic melodrama "Australia," in which he plays a rough-and-tumble outback hero. Between appearances, he squeezed in a photo shoot and cover story for People magazine, which named him the Sexiest Man Alive 2008. And, this month, it was announced that Jackman will be the emcee of the 81st Annual Academy Awards on Sunday, Feb. 22. A theater vet (he won a Tony in 2004 for his lead role in the musical "The Boy From Oz") and an experienced TV host (he won an Emmy for hosting the Tony Awards in 2005, his third consecutive stab at the gig), Jackman seems an excellent choice to pilot Hollywood's biggest night. He was also the perfect choice to embody the immortal "X-Men" comic book character, Wolverine, in the three big-budget screen adaptations of the popular series. 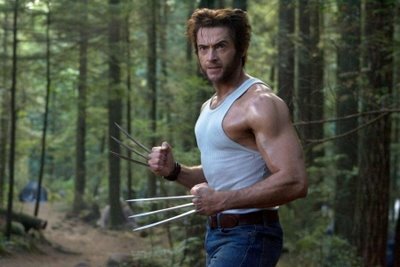 He reprises the role next year for "X-Men Origins: Wolverine," a prequel of sorts that provides the mysterious hero's back story. And you know he'll be working the red carpet for its premiere, if not hosting the event himself. Mickey Rourke makes a rip-roaring comeback in Darren Aronofsky's ("Requiem for a Dream") sympathetic portrait of an aging pro wrestler. A festival hit and buzzworthy Oscar favorite, the film co-stars Marisa Tomei and Evan Rachel Wood. Oscar-winners Steven Soderbergh and Benicio Del Toro ("Traffic") re-team for this ambitious biopic about iconic doctor-turned-Cuban revolutionary Che Guevara. Two films in one, "Che" clocks in at over 4 hours, and will be available OnDemand shortly after its theatrical release. This gritty, late-in-the-game awards contender stars Mark Ruffalo and Ethan Hawke as two men dealing with crime and family. Ruffalo's recent Satellite nomination has suddenly brought the film to people's attention.